The Blinders have announced details of their forthcoming debut album ‘Columbia’, to be released September 21, 2018 on Modern Sky UK. Containing the 6Music playlistednew single ‘L’Etat C’Est Moi’– “a delirious indie stomper with a heart of gold” CLASH– plus previous single ‘Gotta Get Though’, which spent five weeks at No.1 at Amazing Radio, ‘Columbia’ is bracingly thrilling debut which firmly places The Blinders at the vanguard of a new generation of politically engaged British guitar bands. Loosely based around the concept of Columbia as “an alternate world informed by reality”, on the album The Blinders display a ferocious intelligence, as influenced by history, literature and art as they are by Britain’s current political and economic woes. 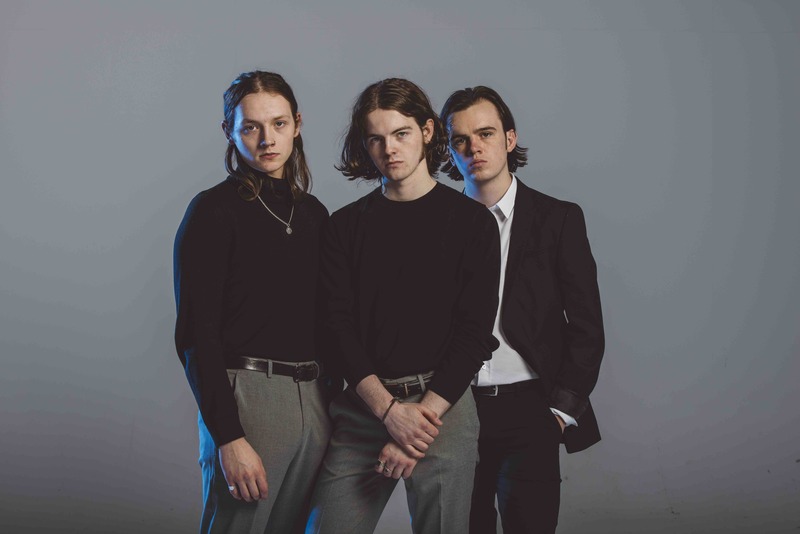 The Blinders are Thomas Haywood (guitar, vocals, word), Charlie McGough (bass guitar), and Matthew Neale (drums, backing vocals). Growing up in Doncaster, the trio met at school and were originally inspired by local heroes Arctic Monkeys, though for ‘Columbia’, which was produced by Gavin Monaghan at Magic Garden Studios in Wolverhampton, they draw on influences as diverse as The Smiths, Nick Cave & The Bad Seeds and Kanye West. After a series of support tours and 2017 Festival appearances including Reading & Leeds, Isle Of Wight, and TRMSMT, The Blinders undertook their debut headline tour in February. Earlier this month they supported Cabbage (who called them the “best band in the country right now”)at their all-day festival at Manchester’s Ritz, and last weekend they drew a huge crowd at the Neighbourhood Weekender. They will be following next week’s sold-out headline shows in Manchester and London with another busy summer of festivals appearances, further details to be announced shortly.